Holiday Villa for rent in Crete! 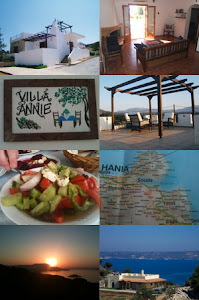 This 2 bedroom bungalow villa stands on a wonderful hillside location, a short walk from the historic village of Plaka. The property boasts amazing views of both Souda Bay and the White Mountains. Due to what this lovely area has to offer, this is an ideal holiday retreat for both couples and families alike. Feel free to contact me via annierobb123@yahoo.co.uk or use Contact on the page to open messenger! That is a cute looking villa that you have there. The swimming pool is a big plus for the place.